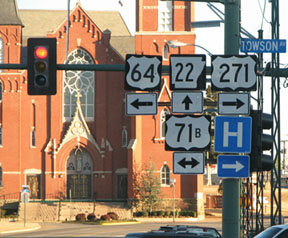 After one block, US 271 split off from US 64 by turning left on 9th St. 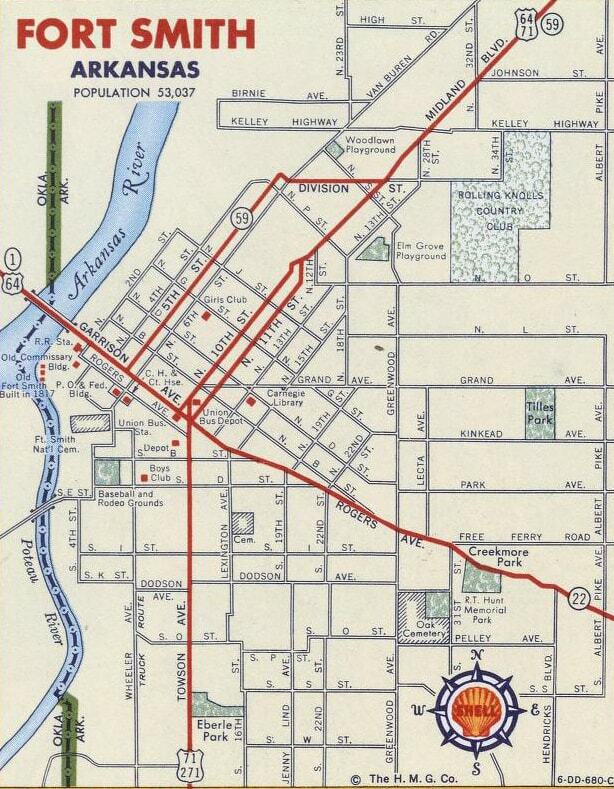 It then made a couple more turns before winding up on South "E" Street, which at the time was aligned with a bridge over the Poteau River and into Oklahoma. 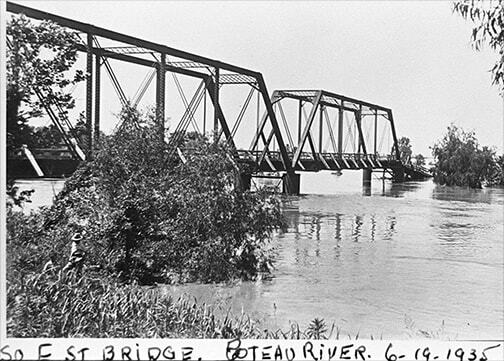 Today almost nothing of that bridge remains, and there is no trace of the old road on the Oklahoma side, which has probably been scoured by multiple floods over the years. 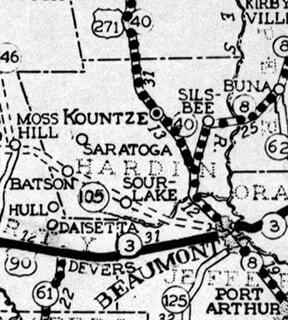 ​Already by 1936, US 271 had been directed to use a different route: traffic followed what is now OK hwy. 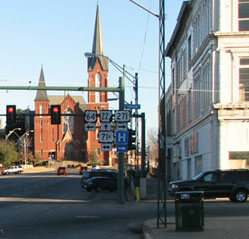 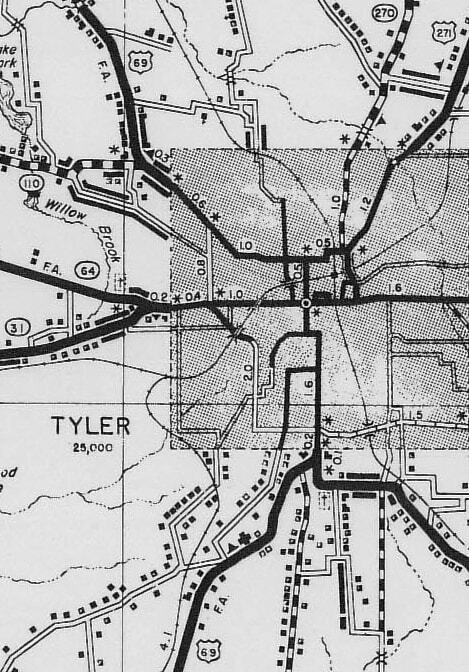 9A (which crosses the Poteau about two miles upstream from "E" Street) and becomes Arkoma's Main Street before connecting with South "Y" Street in Ft. Smith. 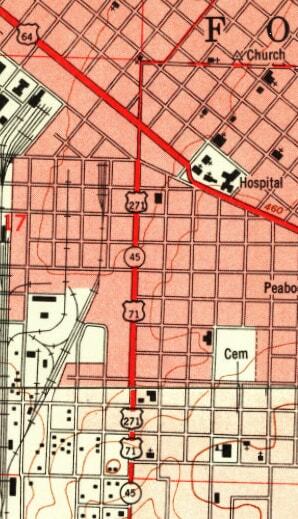 That is essentially the original north end of US 271, at its junction with US 64... although historically Towson did not curve to align with 11th, but rather continued straight north, intersecting Garrison between 10th and 11th (as illustrated on the maps above). 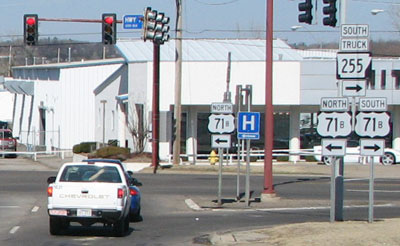 ​Business 71 is on a diagonal road at that point -- a connector between Towson and Zero Street. 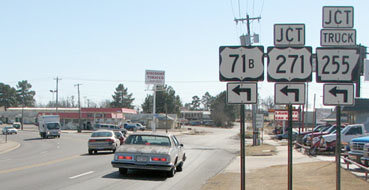 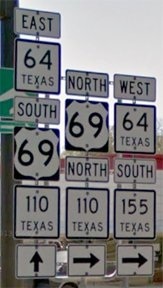 Street signs refer to this segment simply as "Highway 71". 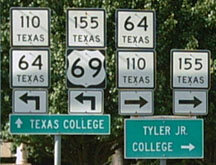 College is now one-way eastbound, but historically it carried both directions of US 90. 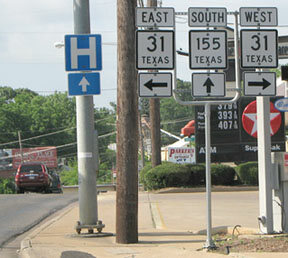 Its grade at this particular intersection has since been lowered; it was sunk in order to go under a railroad viaduct. 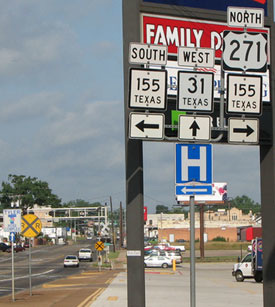 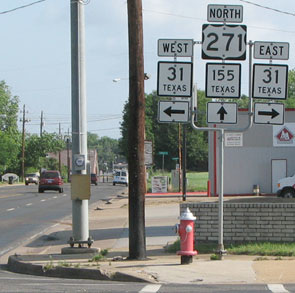 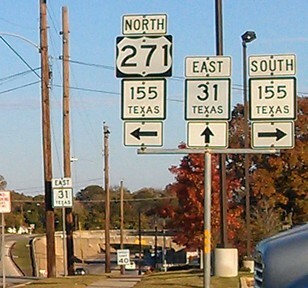 To the left via northbound Spur 380 was once the south beginning of US 271. 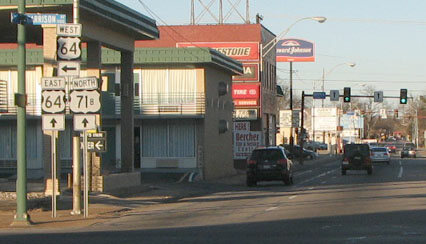 That street was formerly called "Railroad", but now it is known as M.L. 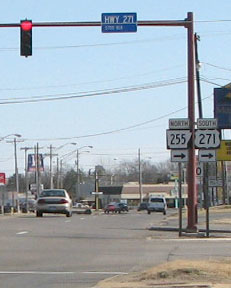 King Parkway. 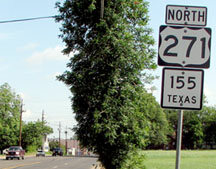 Railroad carried both directions of US 271, but now southbound MLK runs along a segment that is just behind the camera. 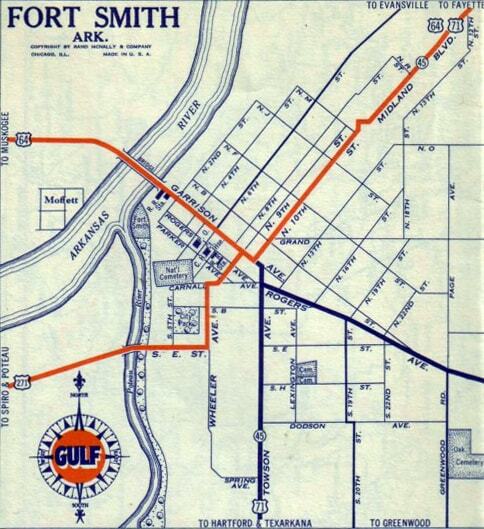 Fort Smith AR is about 300 miles ahead. Although staying on US 271 for the entire distance is not the fastest route to get there, it certainly is a scenic way to get there.